In his younger years Darren had personal experience of competitive swimming both at a national and international level competing in British Swimming Championships throughout the 90s. Darren joined the Warriors coaching team in 2001 and is currently responsible for the management of competitive swimming in Warrington. A major part of his role is to identify swimmers based on their Ability, Attitude and Attendance and offer those swimmers who can reach the highest level of swimming the routes to do so. Since 2004 there has been an increase in National Qualifiers from 3 up to 25 in 2009 and 22 swimmers in 2012. It has been Darren’s aim to put in place a structure of swimming to nurture talented swimmers in Warrington and offer them the route to compete at the highest level of the sport. Having been identified as one of the best schemes in the country this was highlighted when Warriors were proud to have two swimmers this year representing Scotland at the Commonwealth Games. Darren has also coached a number of National Champions – both individual and relay. Darren believes that focus, perseverance and hard work alongside the support of Parents are the ingredients for success. During his limited spare time Darren does not talk about swimming and enjoys watching Manchester United on the few occasions they manage to win a game. He enjoys camping and spending quality time with his friends and family. 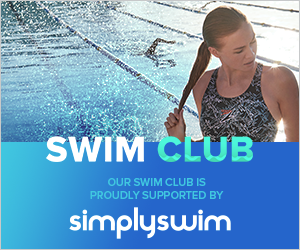 Tim has developed unique knowledge of competitive swimming being involved in the sport as an athlete and coach for over fifteen years. 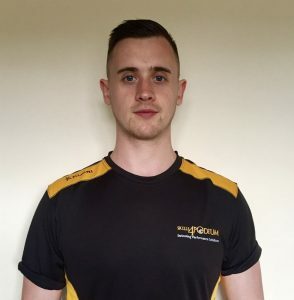 As a swimmer Tim competed at National level achieving multiple British age-group and youth titles, as well as competing in trails for Olympic and Commonwealth games. 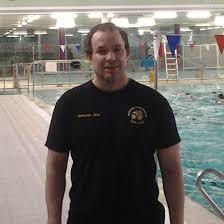 Tim currently works in performance coaching across a number of sports including swimming. Tim completed a Bachelor of Science degree in Sport Rehabilitation developing an in-depth knowledge of sport injury and exercised based rehabilitation. Additionally, Tim has completed a Master of Science degree in Strength and Conditioning specialising in prescriptive exercise. The repertoire of skills Tim has developed allows him to tailor evidenced based training protocols in accordance to an athletes’ unique needs. With his many years of swimming experience and knowledge of sports injuries and rehabilitation, Tim will be an essential element in the development of the next generation of talented Warriors swimmers. Feel free to contact him for advice at any time as he is always willing to help where possible. Jonathan has assisted with coaching Warriors squads since he was 16. Jonathan is currently responsible for C squad as well as assisting with other squads as required. Jonathan enjoys seeing the progression in swimmers and helping them to develop the skills they’ll need to succeed as a competitive swimmer. Jonathan joined Warriors at the age of 8 and progressed through to National squads by the age of 12. Jonathan’s proudest moment was qualifying for the Olympic trials for London 2012 in 400m IM but unfortunately broke his arm and was not able to compete. Jonathan also coaches the Masters team for LiveWire and he’s very proud of the success they’ve achieved in the 4x100m freestyle, achieving 5th in the world!